Harland R. "Harlan" Palmer was born in Reedsburg, Wisconsin on March 29, 1917. 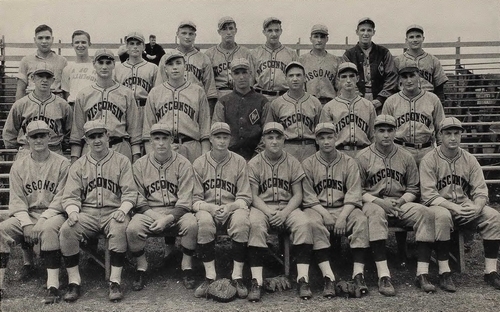 He attended the University of Wisconsin where he was an outfielder on the varsity baseball team from 1937 to 1939. 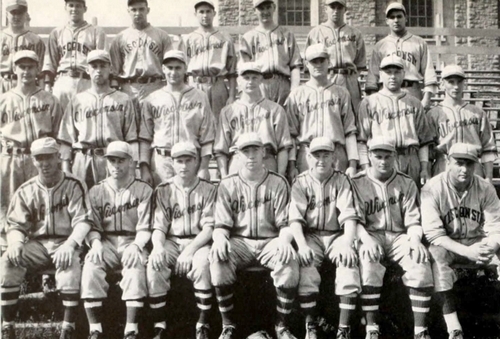 Used regularly as a pinch-hitter in 1937, Palmer had a string of four successive pinch hits. Palmer entered military service on December 18, 1941 - eleven days after Pearl Harbor. He trained as a bomber pilot and served with the 321st Bomb Squadron, 90th Bomb Group at New Guinea in the Pacific. On November 11, 1943, a bombing mission to Rabaul was aborted due to poor weather. As the airplanes prepared to land there was a collision between two of them. The propellers of another B-24 cut off the rudder of the Lieutenant Palmer's B-24 which dove into the ground, detonating the full bomb load, and killing all on board. The other B-24, badly damaged, managed to land. Palmer is buried at Green Wood Cemetery in Reedsburg, Wisconsin. Some of this information was obtained from John S. Alcorn's "The Jolly Rogers". Thanks to Astrid van Erp for help with this biography.